I hear it all the time "swatches lie". Unfortunately I think the real problem is that we lie to ourselves. We are in a big hurry, we are excited and we have to start the project now. We forget how differently we all produce fabric. I show two swatches at the beginning of every class I teach to remind students of just how much our work varies from knitter to knitter. You can see them here. We all have differences in knitting technique, how we tension the yarn, and how we form our stitches. Then we introduce different yarns to the equation. Many experienced knitters have commented to me how standards are changing. Yarns labelled as DK could be closer to worsted or sport weight. More ball bands give ranges of gauge instead of a single number as was more likely in the past. The photos above show two different yarns that knit to the same gauge. One is 100% wool the other has some silk and cotton blended with the wool. 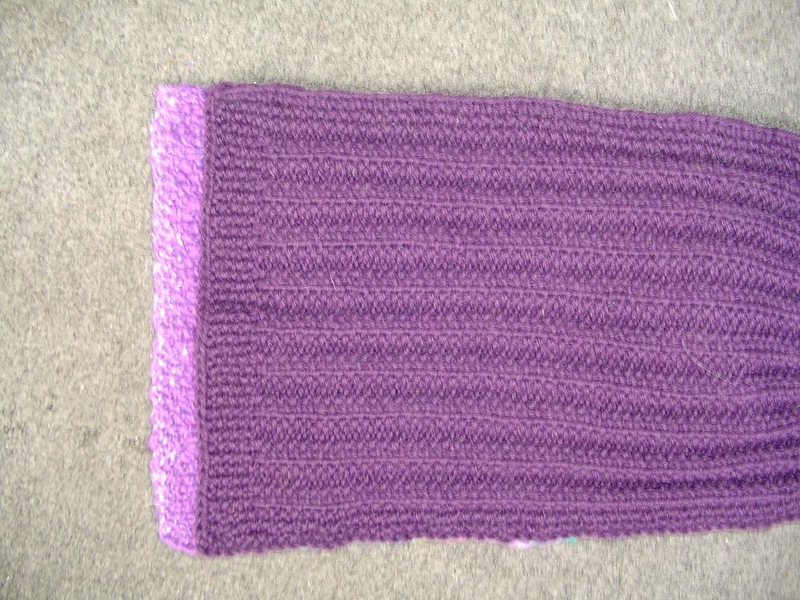 The first photo is before blocking, the second shows both after blocking. Do you see how very different they are? Notice that they do block out to the same size. Recently my tech editor was checking measurements on a shawl. I measured the shawl immediately after blocking it and noted the details in the pattern. She remeasured about two weeks later after I had already worn the shawl. Guess what? The measurements are a little smaller now. This is not a problem for a shawl but it can be on a garment. 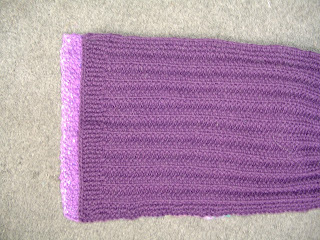 Use the same needles on the swatch as on the project. The needle material and type can affect gauge. I've read that in general, sticky needles like wood, bamboo or plastic will give you the shortest stitches, and slippery metal will give you stitches that appear a little more stretched out. This will impact your row gauge. Swatch in the round for knitting in the round. Most knitters have gauge differences between knitting and purling. Knitting in the round may mean no purling, therefore different gauge. Let your swatch rest before measuring. Hang it up if the yarn is a fibre that has drape like bamboo or silk. Know that the same yarn in a different colour may knit to a different gauge. Check the gauge of different stitches in a single pattern. 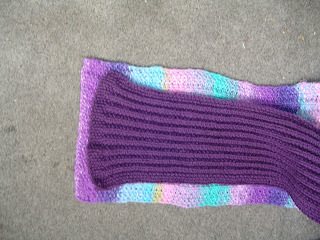 I work with two sample knitters who both have discovered they may match my gauge on one stitch pattern and not another. We have had to adjust stitch counts or needle sizes to correct this variation. Consider the fabric you are creating. Is it too stiff or too floppy? Will you like that in the finished project? Launder the swatch according to the instructions on the ball band. Block it. You do want to know what will happen when you wash your project. Thanks for a great post. An idea (from a beginning swatcher!) It would be interesting to show a swatch that doesn't work to measurement with one where you either upped or lowered the needle size. 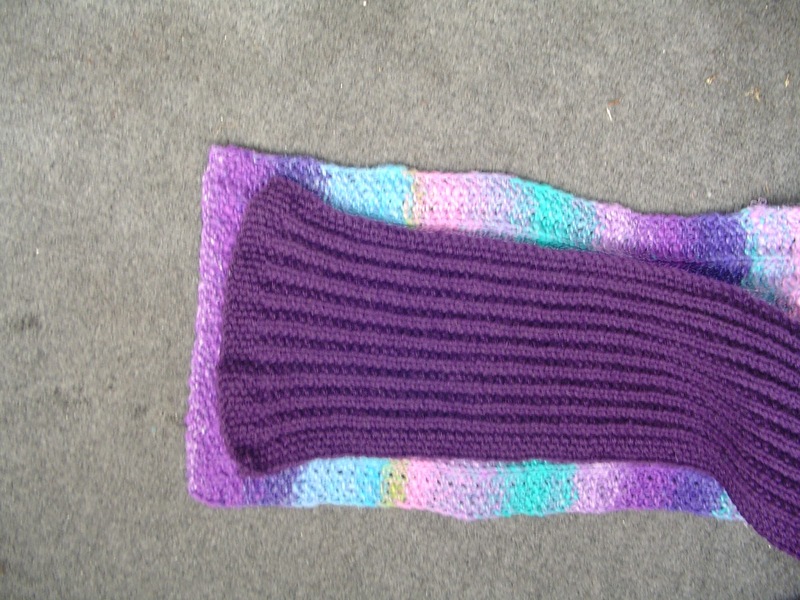 For example a 4X4 square on the appropriate needle gives a swatch at bigger (or smaller). Done again on a different size shows the match...and why. I have just started doing this and rarely hit the measurement first time through. I don't know if I need to go up or down in needle size to achieve the correct measurement. And how does it affect length?!? All these things to bother us! Great blog--thanks!